Lay zoodles out flat on paper towels and sprinkle lightly with salt to sweat. Meanwhile in a medium sauce pan add peanut butter, chicken broth, coconut aminos, crushed red pepper and garlic. Heat to medium, whisk well and remove from heat. 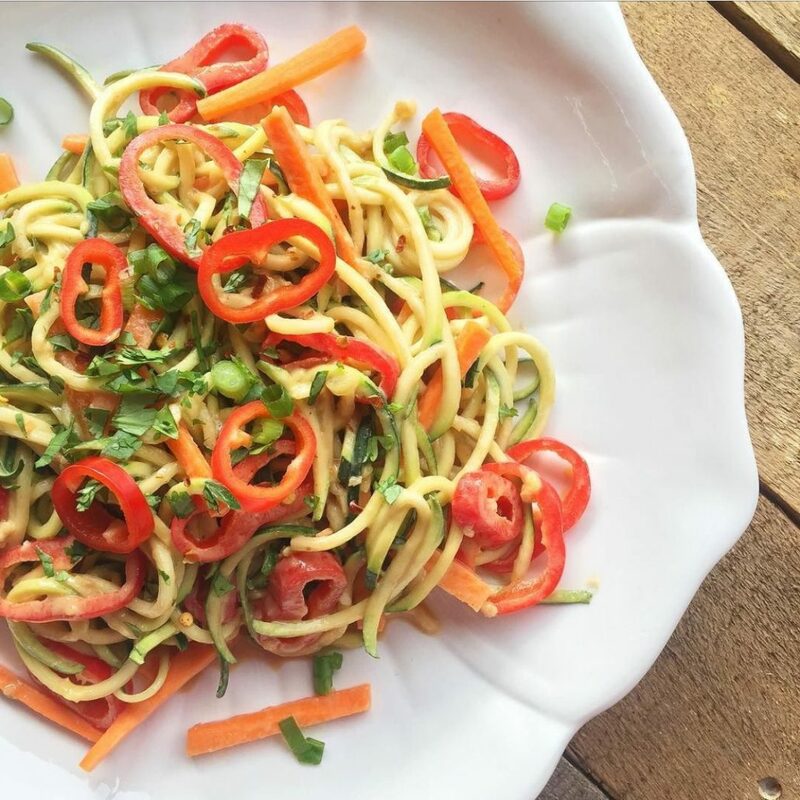 Combine zoodles, red peppers, carrots, green onions and cilantro in a bowl and toss with enough peanut sauce to coat. Serve with crushed peanuts on top and enjoy! 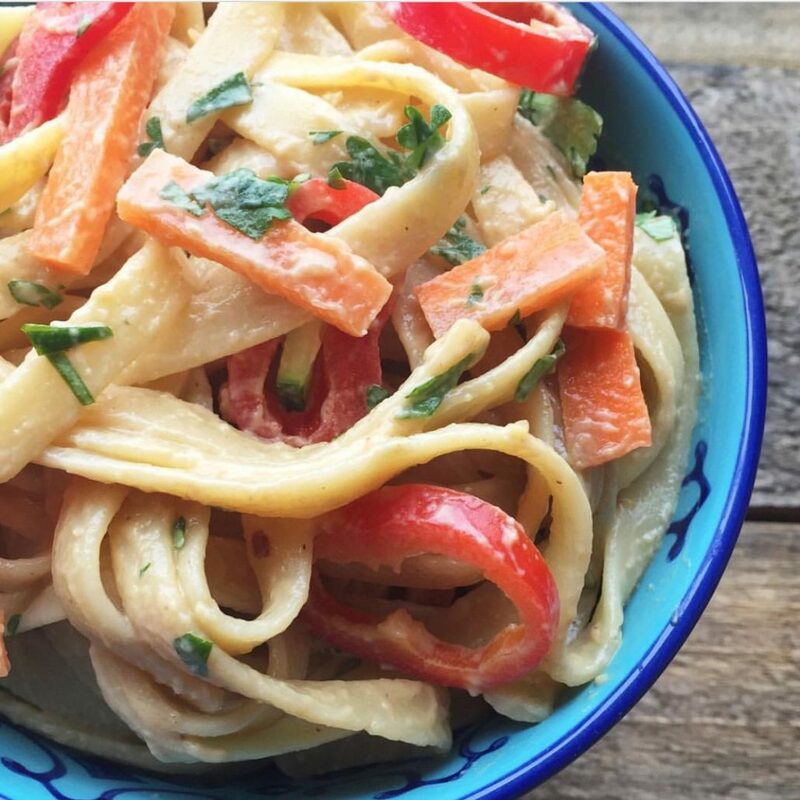 Notes From Kimmi: I like to make this recipe with CRUNCHY PB because I think you can never have too much crunch when it comes to PB dressings ?